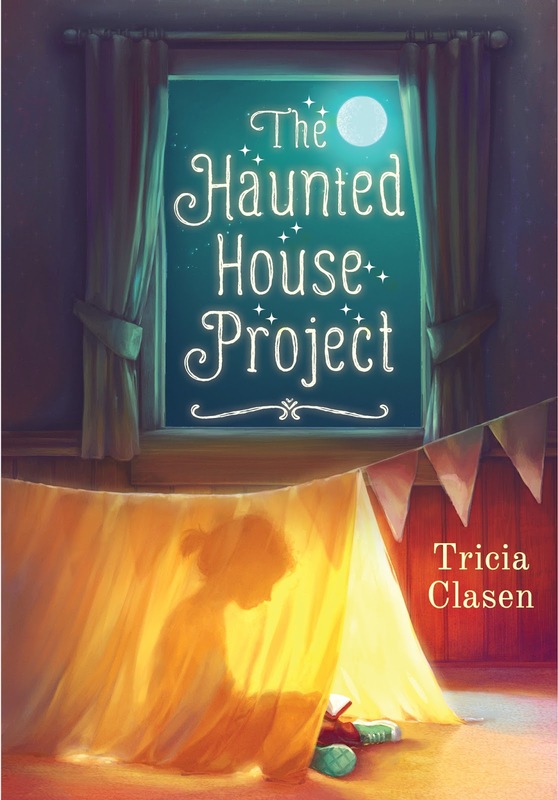 We are so excited to host the cover reveal for THE HAUNTED HOUSE PROJECT by Tricia Clasen! This is Tricia's debut novel and will be released in September 2016 by Sky Pony Press. For me, the cover process began with a Pinterest board. My editor, agent, and I all pinned covers that we loved and that had some "feeling" that seemed consistent with THE HAUNTED HOUSE PROJECT. It was a diverse lot of fantastic books and covers, and as I look at them now, there were probably two common threads: they were all illustrated and they typically had some form of silhouetting. From there, I had no idea what my publisher's designer would come up with. This final design sends me straight over the moon. It definitely captures the mood of the novel, and something of a split personality. It's a little sad and dark as Andie is facing so many very real and difficult challenges, but despite her initial loneliness, she is an action-oriented girl. I love how there are multiple points of light in the cover, which showcase hope, that there's always a way out. When I first started writing this story, I focused on Andie's older sister, Paige. I had envisioned a young adult story with her finding the way to bind her family together, but I kept coming back to Andie and what she would do to get everyone's attention. Middle-graders can be both so innocent and so savvy at the same time which really opened up the idea of haunting her dad and sister. This cover is the perfect manifestation of why I couldn't let go of Andie's point of view. 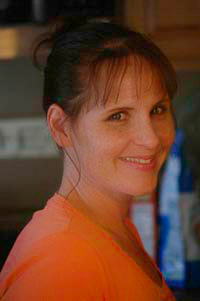 Tricia is a college professor of communication and THE HAUNTED HOUSE PROJECT is her debut middle-grade novel. She lives with her husband and two girls, her parents, and what seems like a small zoo in the much-too-frigid Janesville, WI. Most of her time goes to shuttling her kids to dance and trying to get the glitter off the kitchen floor as well as planning trips to much warmer destinations. Thanks, Tricia, for sharing THE HAUNTED HOUSE PROJECT with us today! Oh my that cover sure does conjure up feelings, I love the silhouette of Andie in the tent and the light coming from inside. Just gorgeous. I'm so thrilled with it. Thanks! The cover is perfect! I love the story blurb as well. Congrats! I can't wait for this book - it such an amazing idea!